Abode Illustrator’s features many tools to create digital illustrations and vector artworks with ease. Professional designers have been using Illustrator to make impressive graphs by using its Graph tools and create single-page ads with the help of the Type tool. The designers create logos and other marketing graphics in Illustrator as it is a comprehensive vector program. 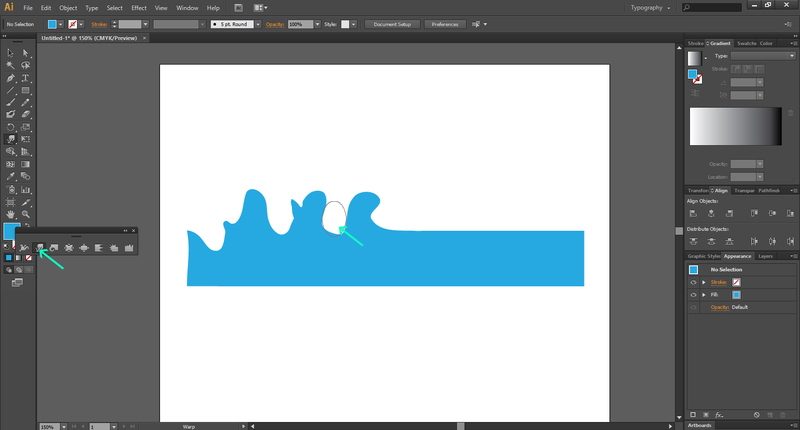 In this tutorial, we discuss about Warp Tools which is yet another useful resource of Illustrator. This tool is also known as the ‘Liquify tools’. The Warp tools are categorized in seven different tools: Warp, Pucker, Bloat, Scallop, Crystallize and Wrinkle. Each of these tools creates different effects. 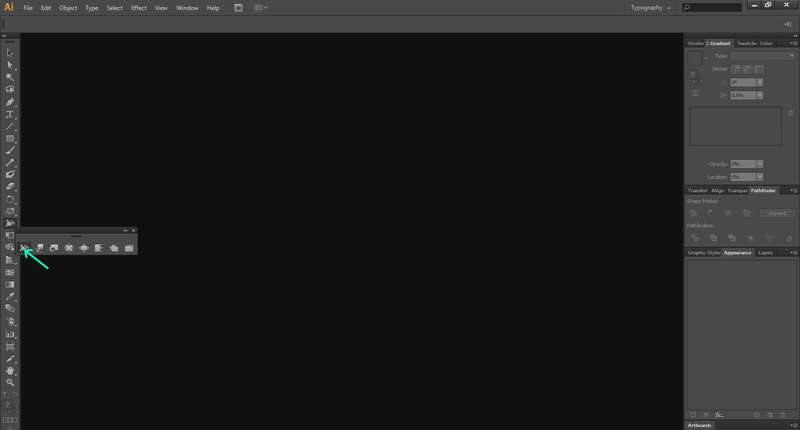 In Illustrator, Warp tools are located underneath the new Width tool that you need to click and hold to get a pop-out menu of the seven Liquify tools. Or, you can use keyboard shortcut shift+r to quickly access the basic Warp Tool. 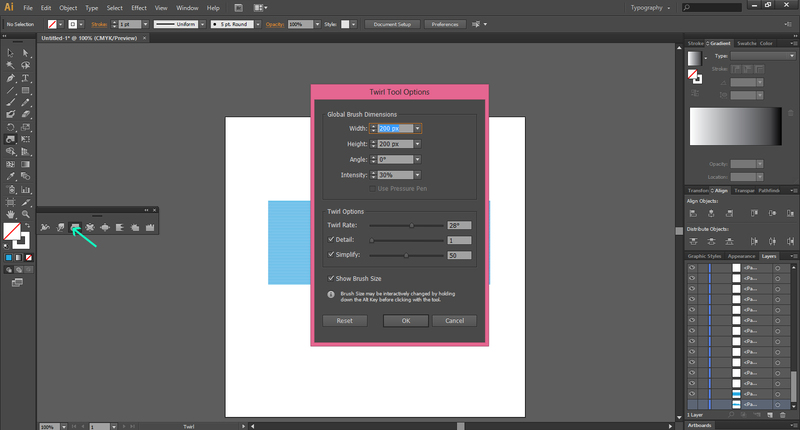 If you want to detach the tools from the toolbar in order to keep it handy, you should click on the ‘’Tearoff’’ arrow. First know that all of these tools can be used to warp any object outward or inward as is clear from the images in this article. A basic rule of use is that for inward warp, you should start with the cross hairs outside of the patch and for outward tools; you should keep the cross hairs inside of the path. To reshape the image, you need to click once on the tools and to create a dramatic effect, drag the tool across the image. Note that all the tools come with the same brush dimensions of width, height, angle and intensity. The width and height options are helpful in changing the shape of the brush while the angle option allows for adjustments in the angle of the brush. 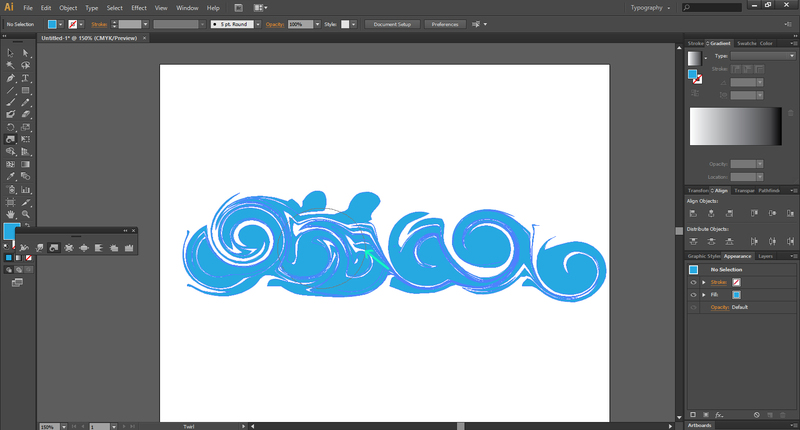 In order to adjust the changes each brush stroke can make, you can switch to the intensity option. As you play around with various options given in the tools, you will be learning more about their specific use and functioning. 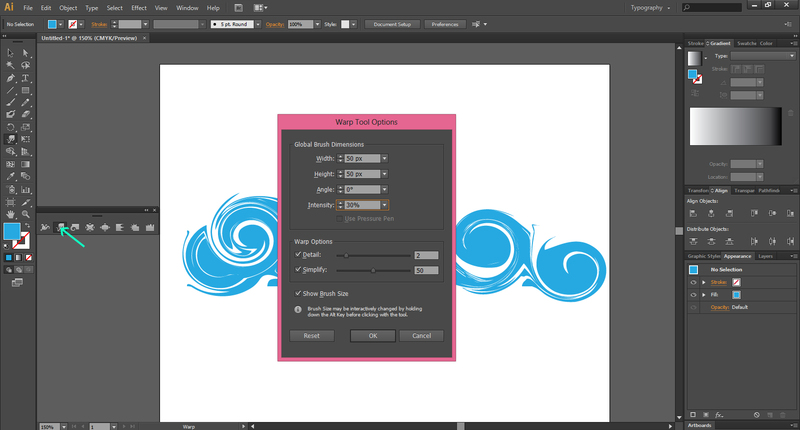 As you double click on the Warp tool, you can change the width and height as well as the intensity of a given design. These features are basic to all the Liquify tools. You have to move the mouse to make the changes in the shapes. 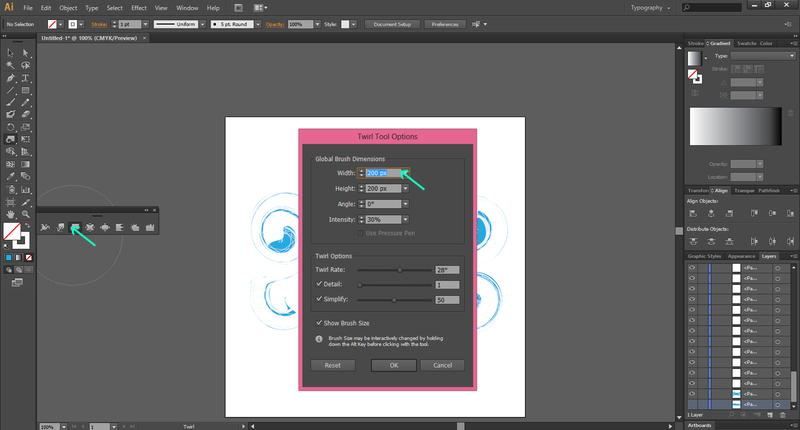 To know about how the Warp tool works, you can drag the tool across a rectangle and shake it slightly up and down. 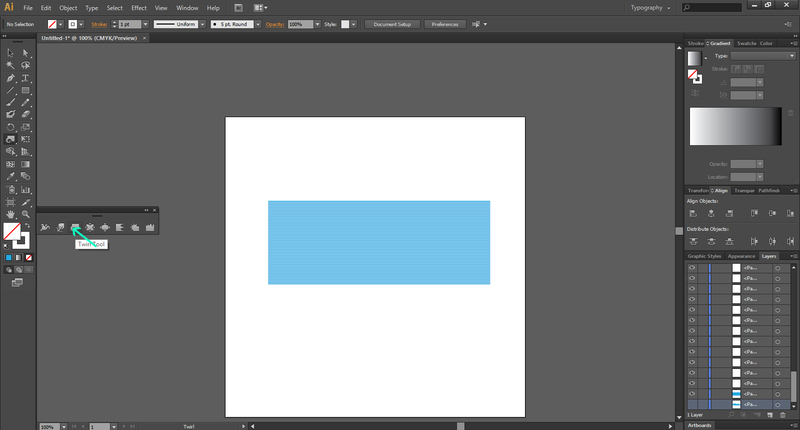 As you sweep the tool across the rectangle, you create the desired shapes. So, you can use the tool to mold the shapes of your choice in whichever manner you like. 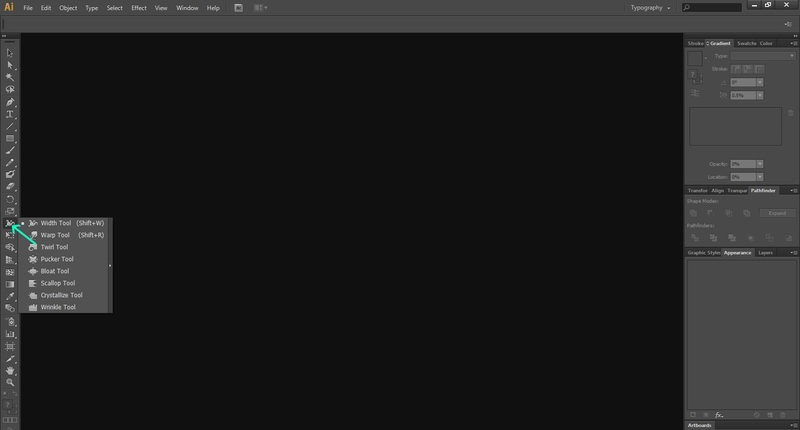 This tool is excellent for stretching the graphics and to change their intensity. Get the list of the tools to select from as per the changes you want to make in the design. 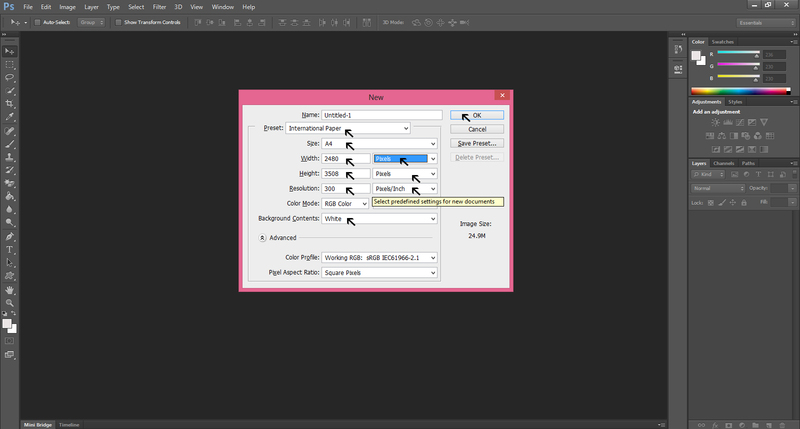 Selecting options from Warp tool for the above image. Double-click on the Twirl tool to know about its setting and find out ‘’Twirl Rate’’ option. 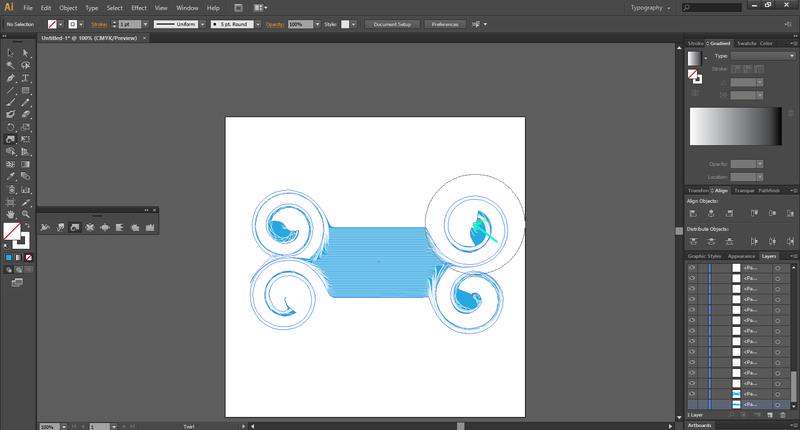 This tool can turn an image or graphics in a circular motion. If you select a negative number from the setting, the image will circle clockwise and a positive number will turn it counter-clockwise. You can also use the hot key: Option/Alt to change the direction. You should click first and then press the hot key. One of the advantages of Twirl tool is that it enables you in producing many unique shapes. If you desire so, you can twirl the tool across whole of the page. If you change the intensity of the twirl and increase the twirl rate, the graphic will get a dramatic shape. So, as you move around, the shape of the graphic will change quickly. This tool also can be creatively used for a controlled movements as you select the options from the settings carefully. Select the Twirl tool from the menu for a rectangle shape. Get Twirl Tool Options and set width, height, angle and intensity of your choice. Selection of the options to set the image for twirling action. Previous Previous post: How To Use Illustrator For Web Design Project?